We’ve had some very positive feedback from people looking at this blog – thanks! 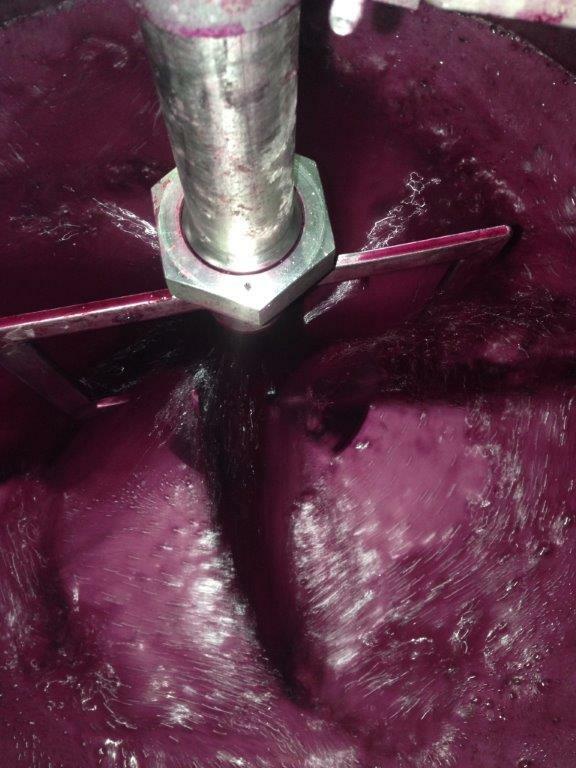 In particular, we’ve been asked for more detail about the winemaking: so here goes. All the fruit was de-stemmed and crushed, but with all the batches, especially those with the smallest berries (Marananga and Greenock), there were a lot of intact berries in the ferments. The yeast used was Laffort Zymaflore RX60; chosen because it is used by some of the winemakers from whom we sourced fruit, and whose wines we particularly like. Four of the six batches were paired into two ferments in 1,100L Potter fermenters, which were kept at 23oC until there was about 6% alcohol, and were then allowed to warm up. They only peaked at about 26oC; I would have liked them warmer, but with small ferments the surface area to volume ratio is very large, so it’s hard to keep them warm. 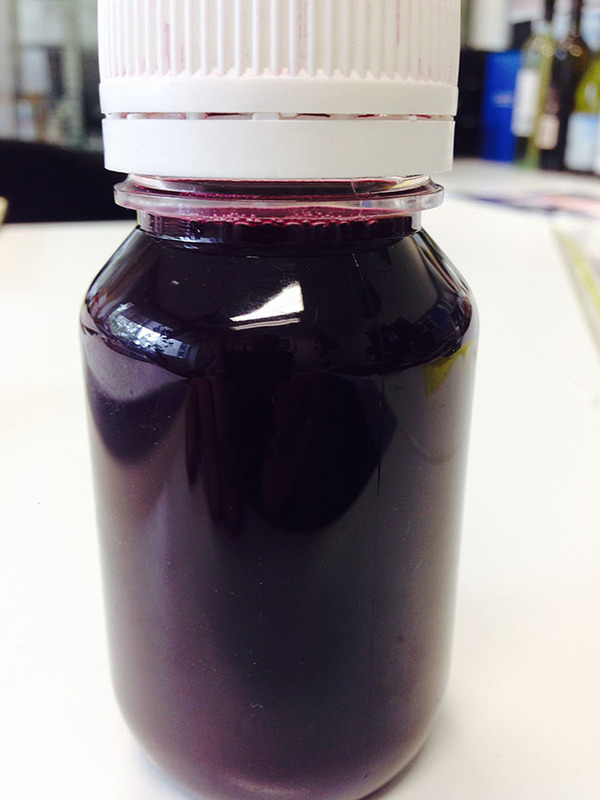 For many reasons, it is more difficult to make wine in small volumes. One they were actively fermenting they were pumped over often, for very short periods each time, just to keep the caps wet, but making sure that no seeds or skins were being pumped. On day three, a portion of the liquid was removed: to be added back later as a ‘transfusion’, in order to prolong the active fermentation. We’d experimented with this technique through the AWRI’s Tasmania Node, and I’d also used it previously. The theory is that it results in a greater proportion of pigmented tannins being formed while the yeast are still active, and also produces more CO2 to protect the cap while skin contact is extended. These two ferments in Potters (with four of the six batches), were racked-and-returned together on day 6, and during that process I estimate that approximately half the seeds were removed by sieving the liquid as it drained, and also removing those seeds left on the bottom of the tub which the liquid was drained into. The seeds were quite green in most of the fruit, despite high sugars, fabulous flavour, and physiologically ripe skin tannins. While the fermenting wine was in an open tub during the rack-and-return, it was pumped around and thoroughly aerated for about 30 minutes. All this involved very late nights and very early morning visits to the winery, with trips to the Barossa to pick and collect grapes, and to return empty picking bins in-between. These ferments were pressed on what was day 13 for one, and day 12 for the other. The Marananga and Greenock portions were fermented separately in open fermenters, which from day two onwards were plunged four times a day – as close to six-hourly day and night as my body clock would allow! They were racked and returned together on day five, and also allowed to warm up from that point onwards, and reached 27oC. Again, I would have liked them warmer. The transfusion portion from the Potters was also added back to these ferments, and they were pressed on day nine. It would have been nice in some ways to keep the six batches separate, but it is impractical with such small volumes, and the winery was full to overflowing so there were not enough small containers to do it. In any case, I think that it is better for the wine to blend everything as soon as possible. Malolactic bacteria were added to all four ferments about 30 hours before pressing, and we used both Lalvin VP 41, and PN4; one because AWRI research has shown it enhances fruity characters, and the other because of its robustness – considering that we are dealing with close to 15% alcohol. All four ferments, comprising all six batches, were pressed together using a Willmes air bag press; and it was very neatly a full load. We pressed up to 2 Bar, and released the pressure and tumbled the skins twice; so there were a total of three cycles up to 2 Bar. This was more than I had anticipated, but the pressings were very special and kept getting better and better. 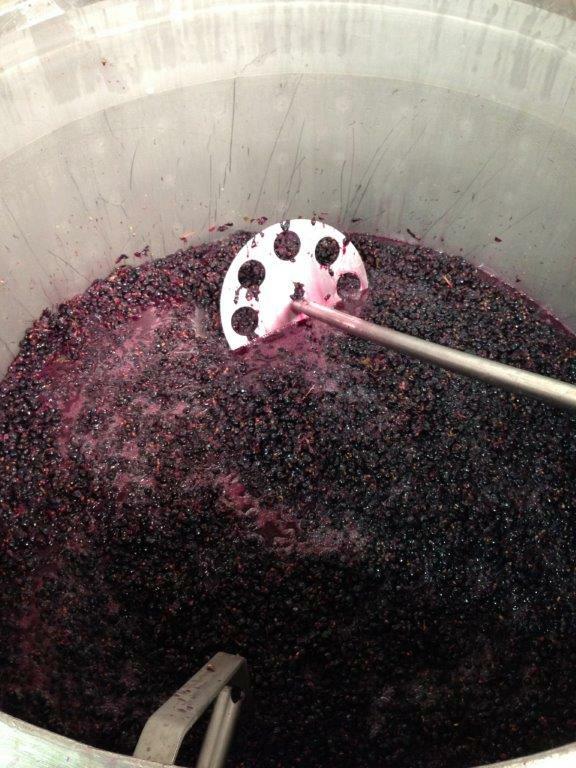 They also became sweeter and sweeter – because of all those whole berries in the ferments. 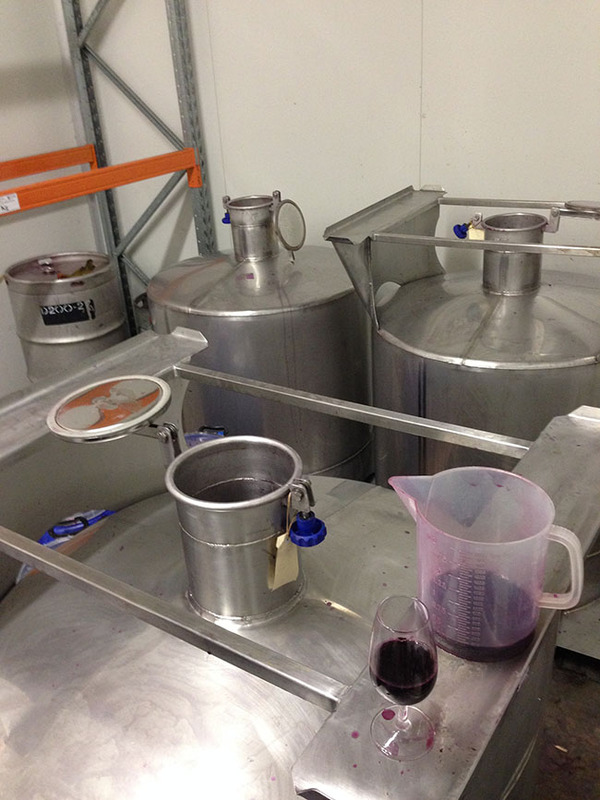 The wine was pressed into small stainless steel tanks, and fizzed quite vigorously for about ten days. The malo was also going strongly at the end of week two after pressing, so I decided to leave the wine in these tanks to finish malo, before it is put into barrels. « An exciting day – time for pressing! An exciting day - time for pressing!